Lewis Meyers was a merchant in Skagway in November of 1898. He decided to go to San Francisco on business. On November 22, 1898 he checked into the beautiful Baldwin Hotel downtown at the corner of Market and Powell. He never checked out. At 3:20 am a fire broke out and soon the entire hotel was in flames with people hanging out of windows and jumping to the ground. Lewis had a heart attack and died on November 23, 1898. 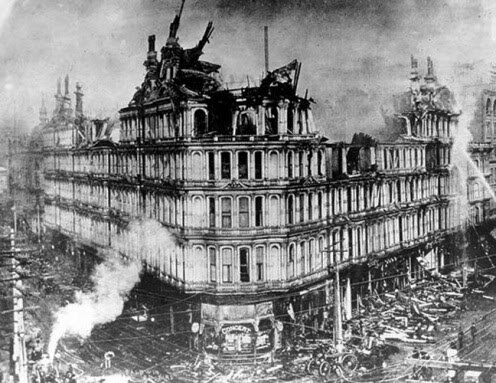 When the Baldwin Hotel was completed in 1877 at the cost of $3 million, it was opulent and majestic. Unfortunately, by 1898, the economy was in a downslide and opulence did not attract paying guests. Elias Jackson “Lucky” Baldwin, a California comstock miner had invested most of his money into the hotel and land. Like many others during this economic depression, Baldwin mortgaged several properties, including his hotel, in an attempt to pay his bills. But when the hotel caught fire and burned to the ground, he was not that unhappy. He was able to sell the property for $1.1 million, about $200,000 more than the amount owed on the hotel’s mortgage—proving that the nickname, “Lucky” was well-earned. 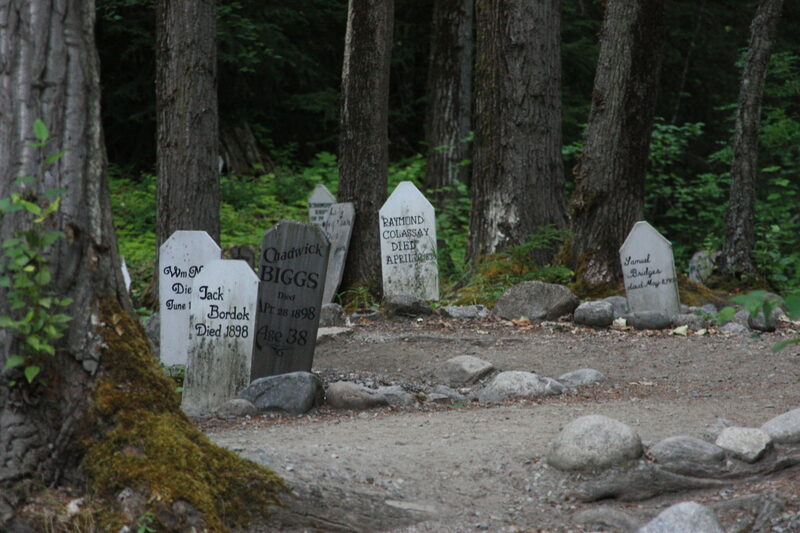 Unfortunately Mr. Meyers was not as lucky, he should have stayed put in safe Skagway, Alaska!